KAABOO is a not-your-average music, comedy, food and art festival. Focusing on amenities, KAABOO believes you shouldn't have to sacrifice comfort for great live music. For the debut year, we worked to create consistent and emotive branding to establish KAABOO as a different kind of festival experience. 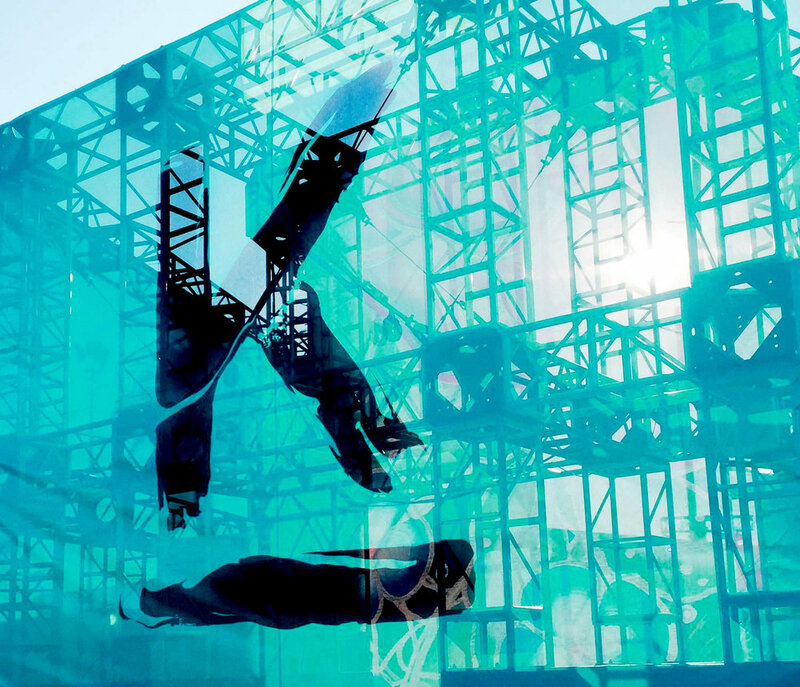 We worked with KAABOO from day one, creating their identity and brand. The logo is based on the movement of ink and water when mixed together. This becomes a visual metaphor for how someone finds their way through a music festival - organically - allowing their path to be effected by the new experiences they encounter. As an extension to the brand identity, we created custom icons using similar painting method used during the logo process. We also crafted hand-rendered type for highly-visible touch points, ie: the website, lineup and campaign collateral. These brand components created a consistent brand look and feel for KAABOO that gave potential attendees a clear sense for the debut event. We wanted the site to be as dynamic as the festival itself. The homepage features panels that react to user behaviors and animate upon rollover, revealing a deeper level of storytelling about the event. The site also offers pairing for attendees, helping them navigate the many offering that KAABOO has.